Please Support On the Odd on Patreon! Mark welcomes Dr. Manuel Matas to the show. Dr. Manuel Matas is a clinical psychiatrist with forty years experience working in mental health. He obtained his Medical Degree from the University of Manitoba and his Diploma in Psychiatry from McGill University. His accomplishments include many published articles in peer-reviewed journals and presentations at national psychiatric conferences. He has had a number of experiences that could be deemed “anomalous” or “paranormal”; these include near-death and out-of-body experiences, as well as encounters with message-bearing apparitions. 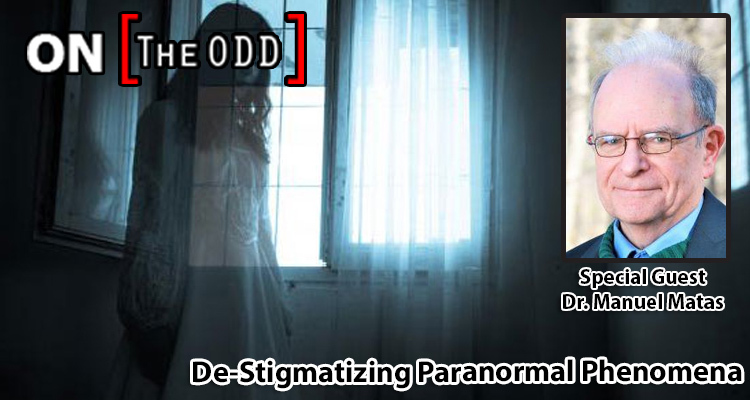 It is his hope that by sharing his knowledge of and experiences in both psychiatry and the world of the unknown, he will help to de-stigmatize paranormal and psychic phenomena, thereby allowing readers to recast their spiritual encounters as deeply meaningful.